How to Free Rip NTSC DVD and Play NTSC DVD at Any Regions? "Last Month, I went to America for a business trip and brought several DVDs back to England. However, those DVDs cannot be played with my DVD-player because they are NTSC DVDs. Anyone can tell me how to play NTSC DVD?" If you have involved in the same trouble, this article will guide you to free rip NTSC DVD making use of a NTSC DVD ripper for playback them on PC/Mac at any regions. How to Free Rip NTSC DVD? NTSC DVD is a DVD disc adopting NTSC standard (one kind of analog television system) used in countries of United States, Canada, South Korea, Japan etc. A NTSC DVD consists of the following parameters. 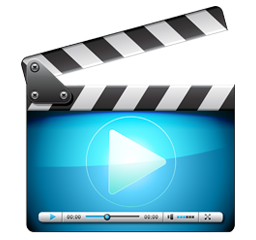 Video: format of MPEG2 or VOB, frame rate of 29.97 (29.97 frames of video per second), resolution of 720 x 480 pixels, color depth of 24 bit, aspect ratio of 3:4 or 16:9. Audio: format of MP2, AC3 or DTS, bit rate of 192K per second, sample rate of 44.8K. On account of incompatibility problem, NTSC DVD cannot be played with DVD-player which uses other system, like PAL. For example, it is unable to read a DVD disc from America in most countries of Europe and Asia. However, we may ignore this problem when we seek out coveted DVDs of movies or converts in other countries during a trip resulting in troubles to enjoy NTSC DVD contents. If so, the best choice is to free rip NTSC DVD for removing the specific technical system without region limitations. 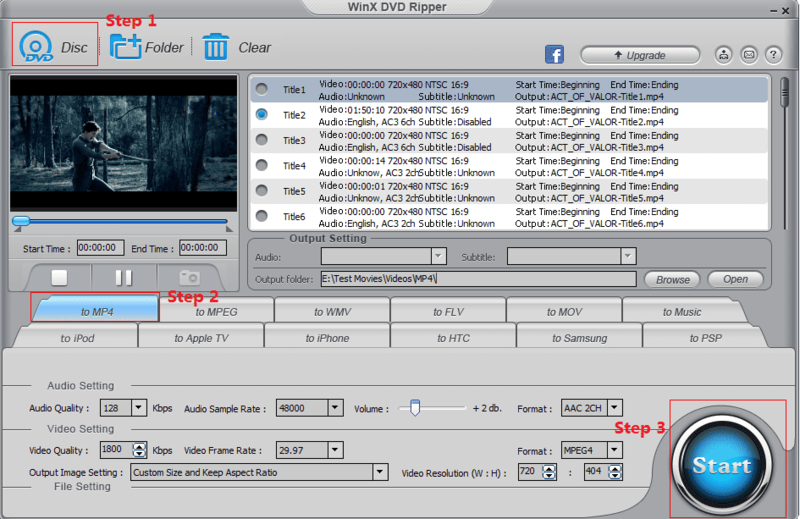 WinX DVD Ripper is a very good helper to free convert NTSC DVD to highly compressed and universal video formats such as WMV, MP4, MOV, MPEG for PC/Mac with high image/audio quality to play NTSC DVDs smoothly. Also, this best free NTSC DVD ripper enables you to rip any DVDs to portable devices, iPhone 6/6 Plus/5s, iPod Touch 4/5, Apple TV, Samsung Galaxy S5/Note 4, HTC and PSP. What's more, you can extract MP3 music from NTSC DVDs through this great free DVD ripper. First of all, please download and install WinX DVD Ripper or its Mac version – WinX DVD Ripper Mac Free Edition on your computer. Then, follow the steps to free rip NTSC DVD. Step 1. 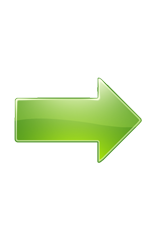 Insert NTSC DVD into DVD-ROM and import it to WinX DVD Ripper by hitting DVD Disc button on navigation bar. Step 2. Select main titles or other titles for converting after DVD is completely loaded, and then choose output format, for example "to MP4". Besides DVD to MP4, you can also free rip NTSC DVD to MPEG, DVD to MOV, DVD to WMV, DVD to FLV etc. Tip: You can adjust audio/video parameters, audio quality, sample rate, volume, format and video quality, frame rate, format, aspect ratio and resolution for meeting your personal requirement. Step 3. Set destination folder to save converted video and hit Start button. Note: Don't forget to check DVD copyright laws in your country carefully before free ripping NTSC DVD. WinX DVD Ripper Platinum - Rip NTSC DVDs and any other DVDs to AVI, MP4, MOV, MPEG etc, iPhone/iPad, Andriod & other OS devices and backup NTSC DVDs to ISO image/folder/MPEG2 file on PC/Mac.